Shipping Container Ramps are the perfect answer for your need to load and unload "shipping containers". The Container Ramp allows you to safely navigate the transition from ground to the bed of the container. Our Container Ramps feature a full width stiffener to provide strength and to bump up against the container. 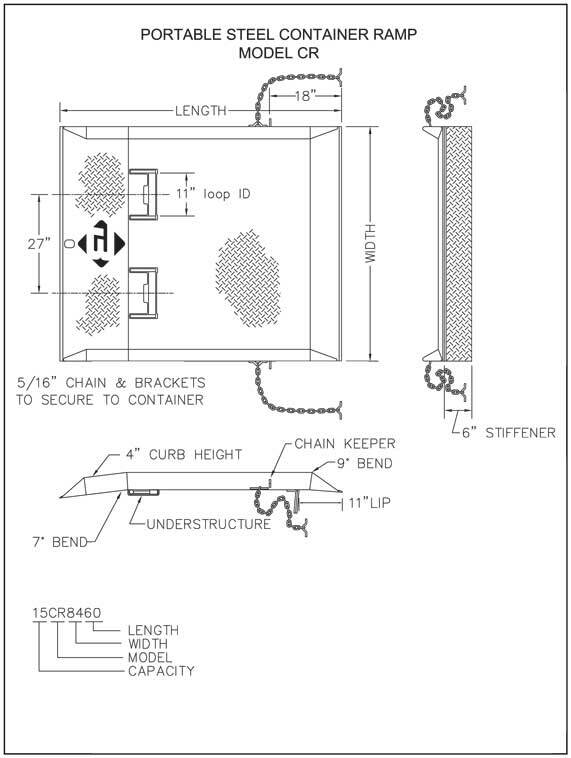 Locking chains with a specially designed keeper allow you to easily lock it into the holes of the container. After the keepers are in place, taking up the slack in the chain is simple and quick with the sturdy grab notch bracket welded to the sides of the Ramp. 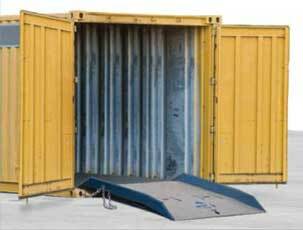 The result is a safe, sturdy ramp locked firmly to the container safely - And Quickly! Container Ramps are available in 15,000, 20,000, 25,000 and 30,000 lb capacities. Custom sizes are available. Container Ramp 60" x 48"
Container Ramp 60" x 60"
Container Ramp 60" x 72"
Container Ramp 60" x 84"
Container Ramp 60" x 96"